The Fall season encompasses a deep and moody color palette that emphasizes its rustic appeal. Flower crowns, come to fruition naturally during this romantic season, so brides, you better take advantage! 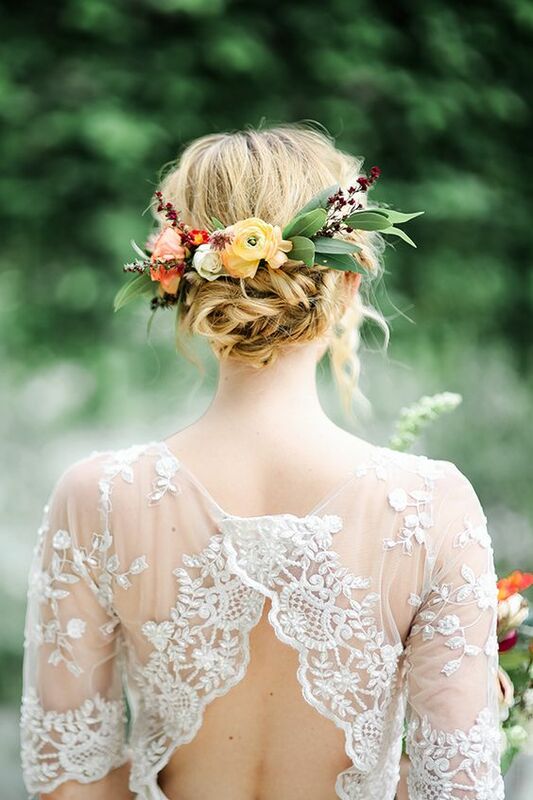 We have rounded up our favorite Fall crowns for the Autumn bride and her bridal party! Adding an abundance of wild berries to blush rosebuds and fern, makes for a gorgeous Fall flower crown that is sure to make people stare! 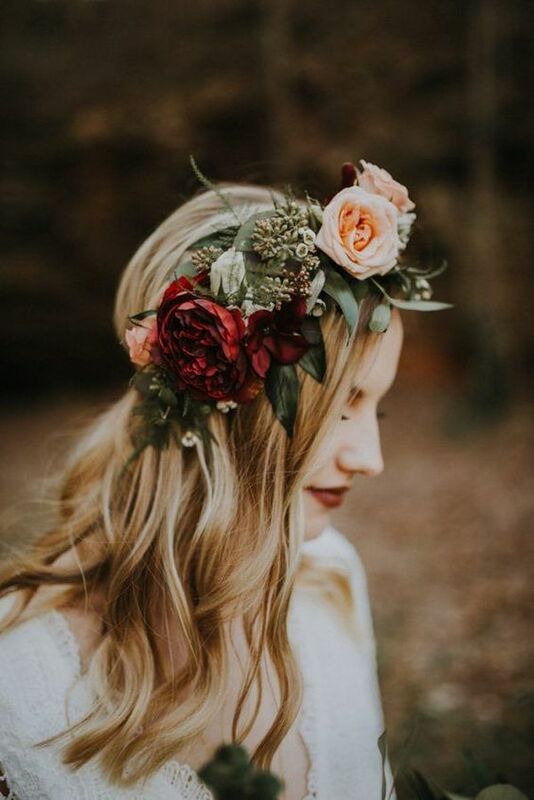 Rich red flowers and natural Fall greens create a head-over-heels romantic style and a striking design, delivering both an elegant touch and a splash of bohemian style. 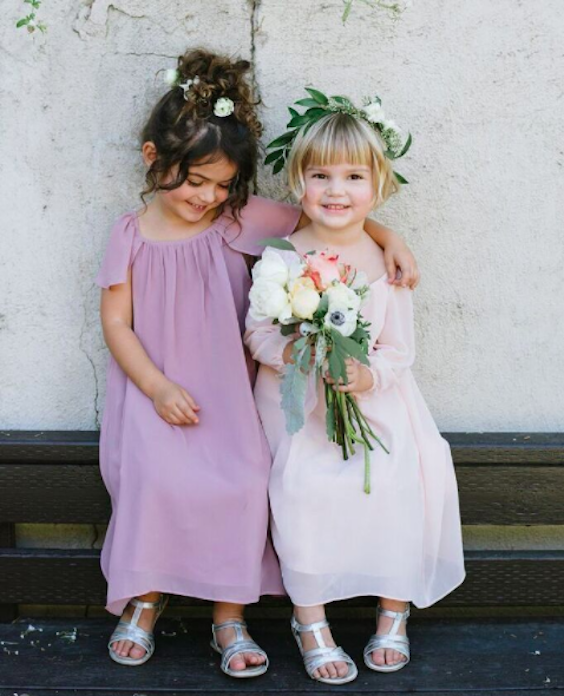 If there’s one person that deserves flowers in her hair, it’s your flower girl! Incorporating winter greenery into delicate crowns makes for a simple design that will light up the aisle. Not all flower crowns have to be big and bright to make a bold statement. Sometimes less is more - adding touches of branches, twigs, berries, and buds creates a simple, yet, vibrant look! Being on the threshold of Fall and Winter, a crown full of baby white rose buds is the perfect balance for a crisp flower crown!